Banana lends this drink a delightfully sweet and addicting taste! Combine 100ml of pre-brewed tea, Monin banana fruit mix, Monin Vanilla Frappe powder, and soy milk in the blender. Blend with ice. 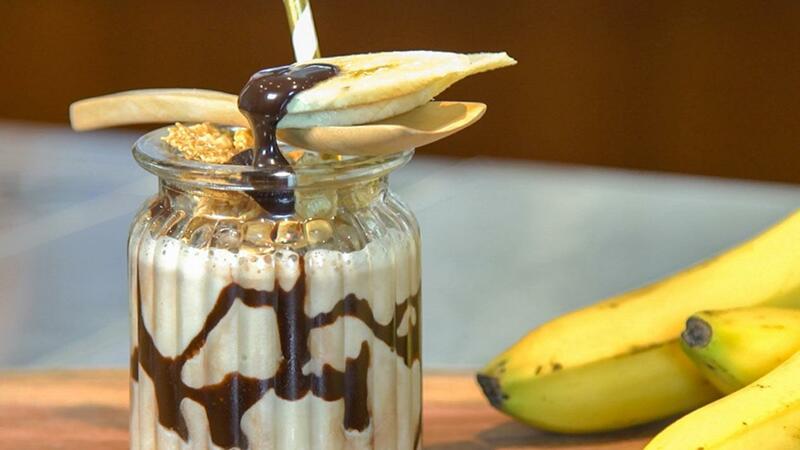 Serve in a tall glass and garnish with banana slices and cereal.